At JMJ Natural Lighting, we’re ready for anything. That’s why our factory-certified installation consultants come prepared to brighten your day. Want to get your new daylighting system installed today? We can do that. Thank you for visiting our website. JMJ Natural Lighting is proud of the competitive pricing and quality product we are able to offer our customers, but we recognize that each application is unique and based upon the home structure. We would be happy to discuss pricing with you over the phone when we can gain an understanding of your individual requirements. Call for updated pricing information and offers now! Now you can get the credit you deserve for making smart, energy wise decisions. 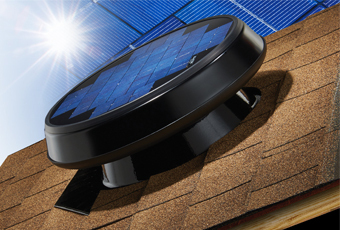 Solar Star attic fans are eligible for the 30% federal solar tax credit through the end of 2019.